Defining quintessentially "American" food can be challenging. Many of our most popular dishes have obvious connections to other countries. Pizza? Clearly Italian. Burritos? Definite Mexican influence there. Meat and potatoes? I think the Brits or the French would claim they did that first. I would proffer that the hamburger is the most obvious candidate for a popular food that is undeniably American. Its name, derived from the city of Hamburg, suggests that the burger might be German in origin. However, history reveals it as an American dish that nods to German immigrants. 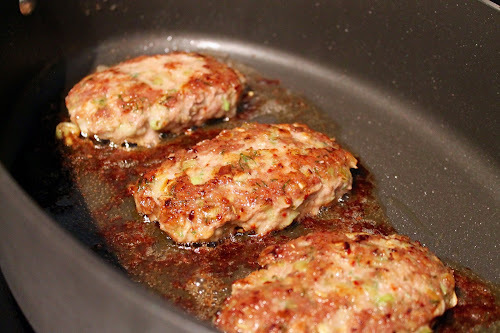 The connection is to the Hamburg steak, a dish that became popular in New York in the late 19th century. At the time, Hamburg was as principal departure point for immigration to the United States, a trip that generally ended in New York. 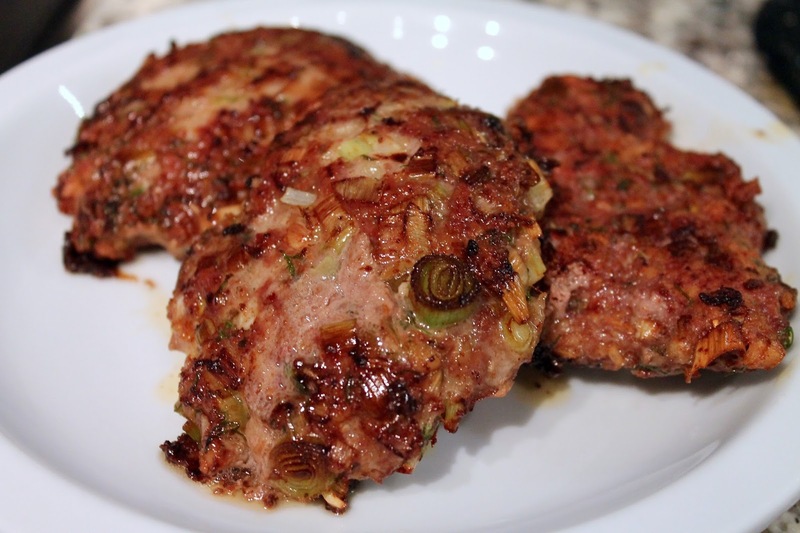 In Hamburg, it was common to find minced-meat steak dishes. Thus the dish, described in Wikipedia as seasoned minced meat served raw with onions and bread crumbs, became popular in New York City. Once the steak started being cooked, it took only some genius to slap the patty between two pieces of bread to make a sandwich. Precisely who did this first seems to be up for debate, but it likely occurred sometime in the late 19th or early 20th centuries, and most of the claims point to an American origin for the dish. Of course, today, the hamburger is a global cuisine. Although fast-food chains like McDonald's spread the fast-food version around the world, which, in basic form can be enjoyed for about $1, it can be enjoyed at all levels of restaurants up to the $1,768 Glamburger, made with every conceivable luxury ingredient. Presently, my personal favorite is the grilled prime beef burger with cheddar cheese and applewood-smoked bacon for $18 at Buck's Fishing & Camping. As American as burgers are, they are also adaptable. The current fad for Korean condiments have led to burgers draped with kimchi and spiked with srirarcha, for example. Here, I've given the burger a Greek-style treatment, using lamb instead of beef for the patty and serving it with pita bread, Tzatziki sauce, tomatoes and cucumbers. The recipe below is for cooking the patties indoors, but certainly if you have a grill, these would be awesome cooked over charcoal. 1. Heat olive oil in a large sauté pan over medium heat. 2. Combine all other ingredients through dried oregano in a large bowl. Using your hands, combine until the mixture is uniform. Shape into 6 balls, then flatten into patties. 3. Cook 3 patties at a time (or as pan size allows) for about 5 minutes until well browned. Flip over, and cook another 5 minutes. 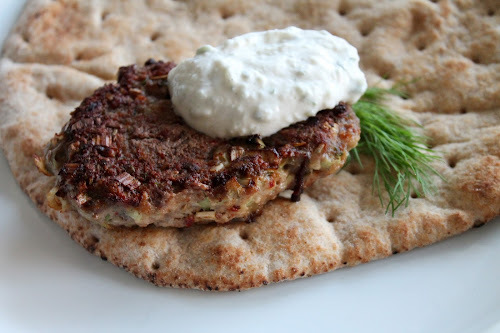 Serve patties with pitas, tzatziki and, if desired, tomatoes and cucumbers.